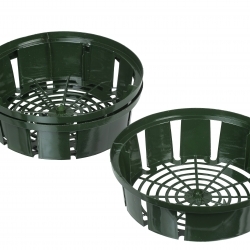 Bulb plant trays Ø 22 cm. A perfect way to a superb flowering display as it offers the following advantages: · Can be used indoors or in the garden · Bulbs can be moved easily avoiding damage. · Allows quick and easy retrieval of bulbs. 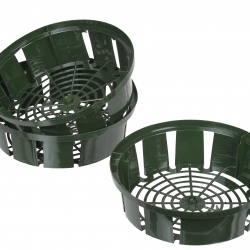 · Can also be used as a mesh bowl for larger aquatic plants. · Made out of strong synthetic material.